Experience an effective process which has triple the success rate of expensive patches pills & gums. The difference? 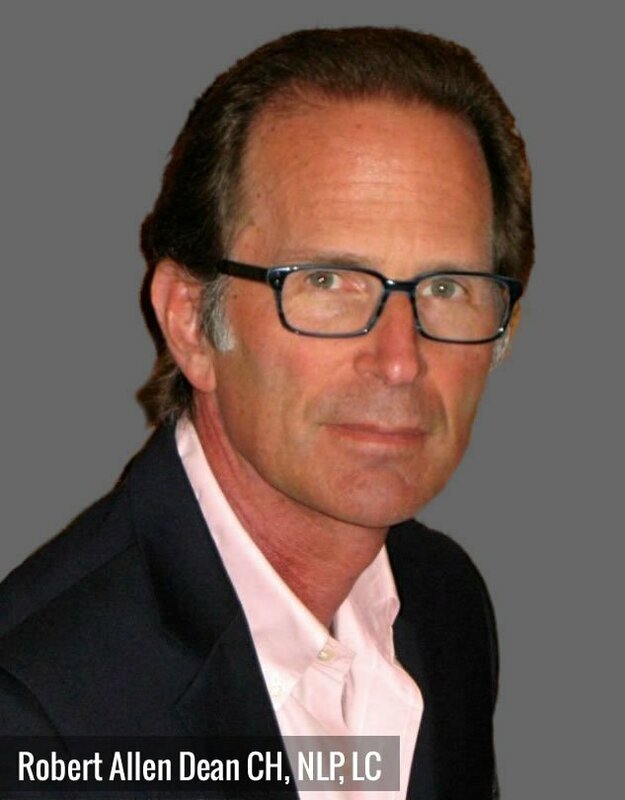 Together, we will combine the most advanced hypnosis techniques with a new groundbreaking neurological process to address the problem in the mind where the habits and cravings are stored. Together, you and I will eliminate them completely once and for all. This process is completely natural with no drugs, no cravings, and no withdrawal. Are you ready to quit smoking? This process includes a lifetime service guarantee, which means if you ever smoke or have a craving to smoke, just call or schedule online, and I will see you again for free. How can I afford to give away free sessions for life? Only 5 – 10% of our clients ever require a second session. First, we will talk. I will explain every step of this process to you before anything happens. I care about your well being, and I want you to understand the science of how and why this process is so effective. You feel completely comfortable and excited to begin. Next, I will work with your neurological system for about 15 minutes. It is your system that wants to keep you smoking just the way you are right now. Your own body will indicate that the problem has been cleared from your system, and you will be a non-smoker before you sit in the chair for the advanced hypnosis. Please Check Your Email and Approve It. Thank You! For some people, smoking is a guilty pleasure that they just feel like hanging onto. However, as quickly as we see changes in technology and science, human behavior is rapidly changing too. The fact is, it’s no longer cool to smoke and because It’s not an invisible pastime, it’s not a habit you can easily hide. When you smoke, not only are you being superficially judged by others, but you are also risking your health in an act of self-harm that is, in the long term, far deadlier than any other drug available. Smoking will trap you into a false sense of everything being alright until it’s too late. Just like an apple might look fresh until you take a bite, the rot can start within well before it’s visible on the outside. It might be that you’ve thought about quitting smoking many times in the past but always put off that final decision. However, the truth is that there will always be the last cigarette. For some people, this is the one they smoke in the last moments of their life, even with their last breath. For others, it’s an empowered choice. A choice that allows you to take back control of your life and one which will give you an amazing sense of achievement and the renewed possibility of future health. Luckily, hypnosis is a fast, natural and effective treatment for quitting smoking. Often the cravings are greatly reduced or disappear altogether. When you use hypnosis to stop smoking you can breathe a sigh of relief because you will know that you are giving yourself the best chance of a long and healthy future. Very quickly your body will start to heal and you will notice an improvement in your energy levels, breathing function, and overall immunity. In as short a time as twelve hours, your body will be fighting back because it truly wants to survive. Only you can make that happen when you make that choice to quit smoking today. Over ten years, a pack-a-day smoking habit will cost you over $25,000… and that’s just the cost of the cigarettes! Hypnotism is a time-tested, highly effective and completely safe way to quit smoking quickly, and economically. 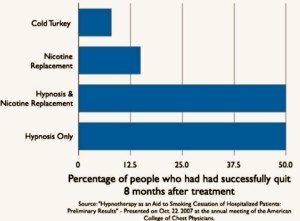 Stop Smoking with Hypnosis: Clinical Studies: University of Washington School of Medicine reports 90.6% success rate for smoking Cessation Using Hypnosis of 43 consecutive patients undergoing this treatment protocol, 39 reported remaining abstinents from tobacco use at follow-up (6 months to 3 years post-treatment). This represents a 90.6% success rate using hypnosis. *individual results may vary University of Washington School of Medicine, Depts. of Anesthesiology and Rehabilitation Medicine, Int J Clin Exp Hypn. 2001 Jul;49(3):257-66. Barber J. Our quit smoking hypnosis program will give you quick results. Thirty smokers enrolled in an HMO were referred by their primary physician for treatment. Twenty-one patients returned after an initial consultation and received hypnosis for smoking cessation. At the end of treatment, 81% of those patients reported that they had stopped smoking, and 48% reported abstinence at 12 months post-treatment. *individual results may vary Texas A&M University, System Health Science Center, College of Medicine, College Station, TX USA. Int J Clin Exp Hypn. 2004 Jan;52(1):73-81. Clinical hypnosis for smoking cessation: preliminary results of a three-session intervention. Elkins GR, Rajab MH. Study of 71 smokers showed that after a two-year follow-up, patients that quit with hypnosis were twice as likely to remain smoke-free than those who quit on their own. Wynd, CA. Journal of Nursing Scholarship, 2005; 37:3, pages 245-250. Hypnosis is the most effective way of giving up smoking, according to the largest ever scientific comparison of ways of breaking the habit. A meta-analysis, statistically combining results of more than 600 studies of 72,000 people from America and Europe to compare various methods of quitting. On average, hypnosis was over three times as effective as nicotine replacement methods and 15 times as effective as trying to quit alone. The University of Iowa, Journal of Applied Psychology, How One in Five Give Up Smoking. October 1992 article. Studies on the Effectiveness of Hypnosis for Smoking Cessation. (2009, April 8). 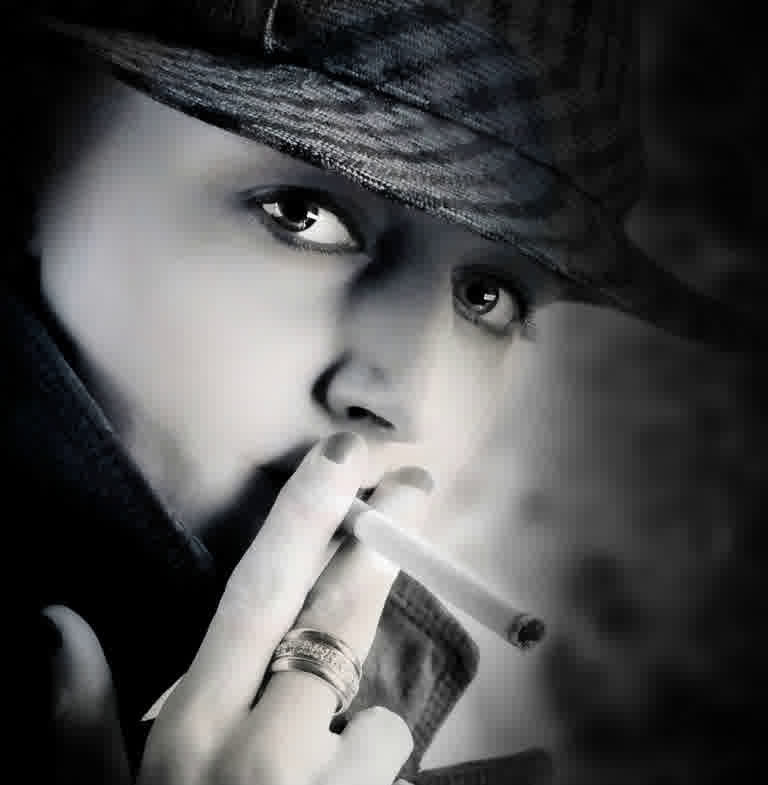 Retrieved from www.johnmongiovi.com Hypnosis for smoking cessation works. I Want To Stop Smoking! How About in Just One Session?